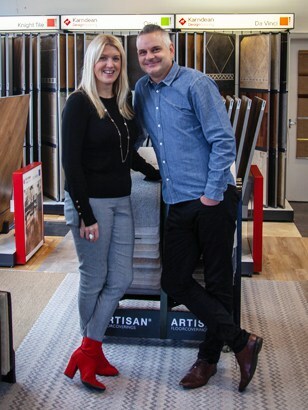 Established in 2008 by husband & wife Justin & Alison, Just In2 Carpets & Rugs has continued to expand, to become one of Worcester’s leading, independent flooring retailers. Specialists in quality carpets, rugs, Amtico & Karndean, we have a spacious, well presented showroom, with all the latest floor coverings on show. We also have over 60 rugs in stock for you to view & we offer a try before you buy, if your not 100% sure. Our experienced & friendly staff are willing to advise & guide you on whatever floor you want, we also offer a free measure & quote service, bringing samples to your home so colour matching is made possible. With justin’s previous 30 years experience of being a carpet fitter, he can also offer an insight into the installation of your new floor. We are passionate about quality floor coverings & guarantee excellent customer service.